When it comes to entrepreneurs in the small business space, Lisa Mann and Diane Hessan have risen to the top. Learn their tips for women in business. Throughout their years of experience, Executive VP of Kind Snacks Lisa Mann and CEO of Startup Institute Diane Hessan have continually risen to the top. However, being women in business can come with unique struggles, and unique triumphs. 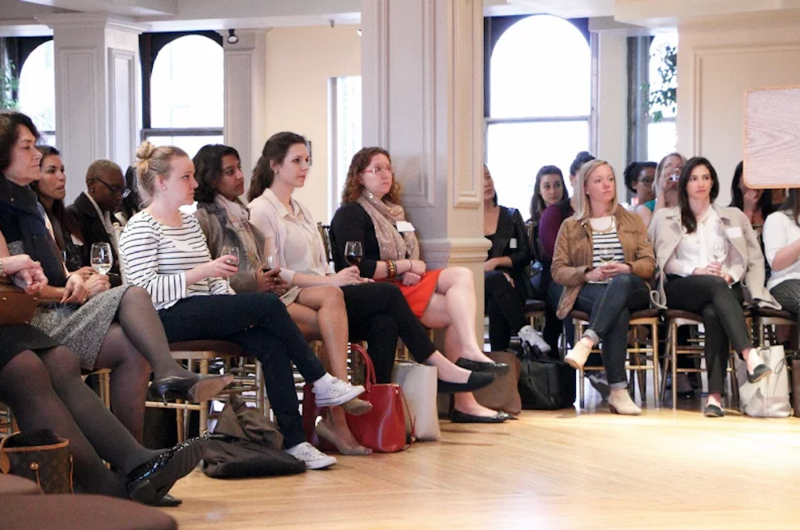 For the Justwomen Winter 2016 event, both sat down to talk about their experiences in front of 100 other women entrepreneurs in New York City. Diane and Lisa weren't only a delight to listen to, they had plenty of sage advice for aspiring women entrepreneurs. Their words of wisdom didn't stop at the event, though. Both Lisa and Diane took the time to answer additional questions for women in business via email, which you can read below. Diane Hessan is a successful entrepreneur, marketer, and author. She is currently CEO of Startup Institute, which is dedicated to helping people transform their careers. Since its inception only 2 years ago, nearly 1,100 students have taken Startup Institute programs in Boston, New York, London, Chicago, and Berlin. From Most Admired CEO in the Boston Business Journal to the Asper Award for Global Entrepreneurship, Diane has received dozens of awards for excellence in business. You’ve been the CEO of Startup Institute for the past year and a half. What inspired you to be part of the company? I was inspired by the mission: Helping people find jobs they love. Think about it: According to Gallup, 70% of people are unhappy in their jobs; bored or disengaged, or just not passionate. 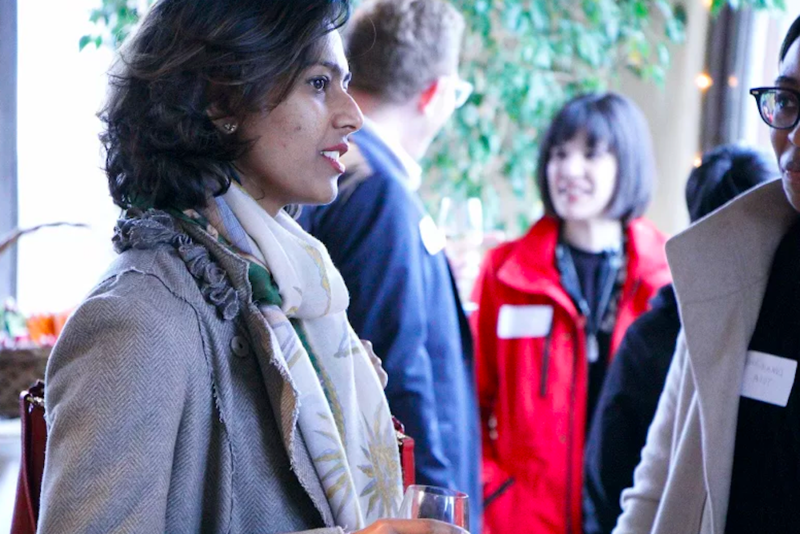 We spend so much time at work that people deserve better — and we have this amazing eight-week experience that is transformative for people, helping them to get the skills and the network to find careers in the exciting innovation economy. Before taking the job, I spoke with so many alumni. I also went to this website called Switchup.org, and read the most amazing testimonials. I wanted to be a part of it. Interested in attending the next Justwomen event? What learnings have you taken from entering this new industry? Well for one, it has reminded me that although I live in a world of entrepreneurs, most people DON’T want to be founders. Many ARE interested in working with a group of people to build something exciting and bigger than themselves, but these days, we tend to glorify founders and forget that success is based so much on the fabulous people you hire. I have also learned that many of our old models of education are obsolete. For all of us, we will be in school for more hours in the future than we were in grades K-12, and it is exciting to be a part of that change. Women gather at the Manhattan Penthouse for Justworks' quarterly Justwomen event in New York City. What advice would you give to women in business who are just starting out as entrepreneurs in 2016? What particular challenges should they keep in mind? I think people often become entrepreneurs for the wrong reasons. Some do it because they dream about making a lot of money, where frankly, there is much more money working on Wall Street. Or, people — often women — decide to venture out on their own for lifestyle reasons. They think that being on their own gives them more control over their time. To me, the only time that happens is if you build a tiny business. But if you want to build something that matters and makes a dent in the universe, it will consume you and you will work harder than you ever did before. Being an entrepreneur is about having a dream and then working at an irrational level to make that dream happen. My advice: dream big! The worst thing that happens is that you have to get a job. Being an entrepreneur takes a high level of grit and dedication. What strategies have you used to keep yourself from burning out when things get difficult? Take care of yourself, hire fabulous people who have your back, get a great coach who can help you put things into perspective, and avoid friends who whine that they don’t see you much and you should just put down your iPhone. It also helps to be open with your employees about what is working and not working in your company. For me, burnout occurs when I keep everything inside and have to deal with challenges by myself. Lastly, there is nothing better than finding multiple excuses every day to just plain crack up laughing. You’ve specialized in consumer goods and marketing with companies such as Oreo and Capri Sun. How has the industry changed in the past 10 years with the rise of digital media and social marketing? Snack food marketing, in general, has changed over the past few years as “snacking” has vastly transformed. While our snack foods aren’t positioned as meal replacements, we are hearing more and more that people are using our snacks as part of a mini-meal given the trend towards more portable, on-the-go meals. Even internally we are finding team members — including our CEO — pairing STRONG & KIND bars with apples and/or cheeses to create a fuller, more satisfying snack. With the rise of digital media and social marketing, we have new platforms to both deliver our messages and to also listen and engage with our consumers, so that we can better understand their preferences and find out what they would like to see from our brand. Justwomen’s theme for this conference was focused around being an entrepreneur versus being entrepreneurial. What’s the key difference to you? Whereas being an entrepreneur is a career choice, being entrepreneurial is a mindset. Sometimes, the key difference between being an entrepreneur and being entrepreneurial is simply the matter of opportunity; or where you are in your career and what you want to do next. Either way, I’d recommend against “deciding” on being one or the other. Though, I have to admit, being an entrepreneur is truly not for everyone — I believe it has to be someone’s true calling in life. If you take a look inside KIND, you will see that we have one entrepreneur — our founder — and many individuals who display a spirit of entrepreneurialism. This is by design — all of our full time team members hold options and are owners within the company, and we encourage an ownership mentality. This has enabled us to create a culture that rewards team members who take initiative, embrace responsibility, and treat the business as if it is their own — because it is. What advice would you give to a woman who is just starting out as an entrepreneur in 2016? This advice applies to females that are both entrepreneurs and non-entrepreneur — be bold. I’ve watched many smart women be fearful of being the dissenting opinion, and rather than stating their opinion clearly, they’ll dance around the topic. When in fact, if you state your opinion clearly and back it up with fact, you can change the course of what you’re doing. You can check out past interviews for Justwomen here with Kate Ryder as well as Joanne Wilson and Amy Cortese.